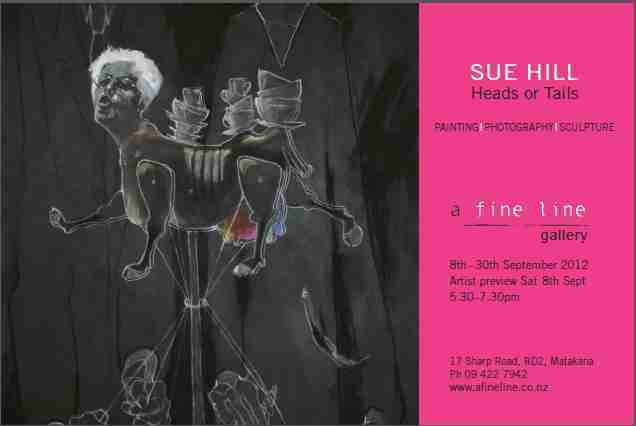 Our opening exhibition for the 2012-2013 season is Head or Tails – an exhibition of paintings, photography and sculpture by Sue Hill. This is Sue’s last exhibition in New Zealand before heading offshore and is a retrospective view of her work. This is a great (and last) chance to see a body of work from one of our best, most loved and versatile local artists. We would love to see you at the opening on Saturday 8th September 5.30-7.30pm. The exhibition runs until Sunday 30th September.